In 14th Century England, the good King is very ill and becomes bedridden. His Captain of the Guard, Pete, uses this to his advantage of robbing and being cruel to the people in the King’s name. On a cold winter’s day, Pauper Mickey, Goofy and Pluto try selling what they have for food, Mickey selling firewood and Goofy selling Snow Cones. They dream of being warm and someday living in the palace. Meanwhile in the palace, the Crown Prince is doing his studies with his adviser, Horace Horsecollar and his valet, Donald Duck. He is bored and looks longingly out of his window seeing all the people and wishing he was with them. One of Pete’s henchmen confuses Pauper Mickey with the Prince and allows him to enter to the castle. A while before, the King’s guards came in their stagecoach, hauling off the food which they stole from the townspeople. Then a string of sausages drooped out of the stagecoach and Pluto ran after them. Mickey tried to stop him, put the palace gates had already closed. He asked the guard if he could come in to look for his dog, and the guard let him do so, thinking he was the Prince. Then Pete caught him and was trying to poke him with his sword, but the Prince saw this, and wanted Mickey brought to him at once, because ” even the lowliest subjects of this Kingdom deserve respect” as he had quoted. Inside the palace Pauper Mickey is amazed at its splendor, but he accidentally slips on the shiny floor and crashes into some suits of armour. Just then the Prince arrives and gets caught in the falling armor. Both remove their helmets and are amazed at the sight of each other. The Prince tells Mickey that his life is so boring with his constant lessons and banquets and envies the Pauper for his freedom. He then decides to switch places with him to see what life is like outside the palace. Mickey is hesitant to do so, but the Prince explained to him that everything would be fine. As the Prince reaches the palace gates, he is handled roughly by Pete, who doesn’t believe that he’s the Prince and then catapulted out. Pluto and Goofy find him afterwards, but Pluto turns his back on him, knowing he is not Pauper Mickey. Goofy, however, is convinced and doesn’t understand why the Prince is avoiding him or acting like he doesn’t know him. In the palace, Pauper Mickey is shown a long list of his royal duties. Both the Prince and the Pauper are not having much success with their lives and cause disaster everywhere they go. As the Prince is walking through the town, he sees the Weasel Guards stealing a chicken from Clarabelle, so he commands them to stop, but they just laugh and continue robbing the people. From this he finds out how the people are being treated in the King’s name. Suddenly the Prince sees a cart being pulled full of food and after showing the royal ring, demands the driver to hand over what’s inside. The weasels then come to arrest the Prince, but he’s saved by Goofy and they ride away into the distance. Later in Pete’s tower, one of the Weasel guards tells his captain about what has happened and Pete realizes that it was the Prince he threw out of the castle and therefore knows how the people are being treated, so he begins making plans to get rid of him. In the palace, Horace appears to the Pauper saying that “his father” wishes to see him in his last few hours. Pauper Mickey enters the room of the dying king, but does not have the heart to tell him that he is not the real Prince. Instead, as the sick king tells him he must take his royal birthright and become king and rule the land justly and wisely, he sadly promises. Shortly afterwards the King dies. 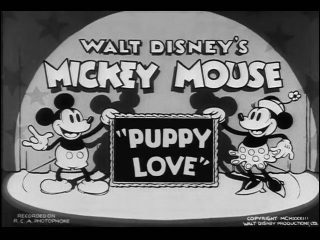 Mickey leaves the room and decides to go and find the Prince, but Pete sneaks up behind him and threatens him to be crowned King at his orders, or he would harm Pluto whom he had taken earlier as a hostage. In the town the bells ring out that the King has died, the Prince is deeply sad and knows that he must now be the new king and put right what Captain Pete has done. Goofy sees his ring and offers his full-most support. As they are about to leave Pete and some guards burst in and capture the Prince and lock him in the dungeon along with Donald, while the coronation begins. Pauper Mickey tries his hardest not to be crowned, but Pete is behind the curtain strangling Pluto. Meanwhile the Prince and Donald are rescued by Goofy who is disguised as an executioner and together they take out most of the guards and rush to the Coronation chamber. Pauper Mickey finally plucks up his courage and orders the guards to arrest Pete, but the villain defends himself by revealing the Pauper to be an imposter. The real Prince arrives just in time and challenges the vicious Captain to a sword battle. Goofy and Donald take out more of the Weasel guards and thanks to Goofy’s clumsiness end up entangling some of them in a falling chandelier. Pete is given a humiliating defeat by Pluto biting him, his trousers being sliced down, being tripped by both Mickeys and finally becoming entangled with the guards in the now rolling chandelier. The chandelier rolls down the red carpet and crashes through the glass window into the street below, presumably killing them all. Both the Prince and the Pauper laugh and hug each other and the archbishop doesn’t know who the real Prince is until Pluto recognizes his master. The archbishop crowns Prince Mickey as the new king of England and with Pauper Mickey and Goofy by his side, rules the country with justice and compassion for all.